The mission of the Buffalo Soccer Council has always been to grow the local soccer community by leveraging the strength of the local soccer community. Now, in an effort to show that support in a tangible way, you can have an immediate impact. 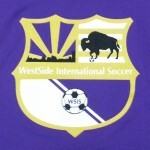 Starting May 1st, the Buffalo Soccer Council will make a set donation to West Side International Soccer for every new membership purchased until May 14th, 2014. Without the help of Buffalonians and Western New Yorkers across the region, our goal of having high-level soccer and a greater infrastructure for the game will not be realized. This initiative is specifically to show what your assistance can do for soccer in the community. 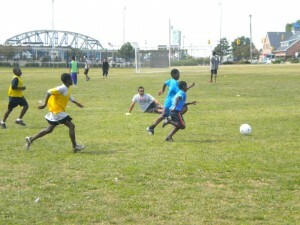 West Side International Soccer is non-profit organization aiming to provide quality, affordable soccer programs, to youths (ages 4-17) of all cultural and socio-economic backgrounds with a focus on serving Buffalo’s refugee and low-income populations. For every Member level ($50) or Founder level ($75) membership, a $5 donation will go directly to West Side. For every Supporter level ($25) membership, the Council will donate $2 directly to WSIS. If there was any question about the Council’s dedication to the Buffalo community, there’s no need to ask anymore. Your membership will not only help us in our efforts, will not only help a great community asset in West Side International Soccer, but will benefit you personally. All Members and Founders get a Buffalo Soccer Council scarf ($20 value) and t-shirt ($19 value), a 2014 FC Buffalo season ticket for their NPSL season ($30 value), plus discounts on Buffalo Soccer Council events and at local supporting merchants. For more information on West Side, check out their facebook page. To become a member, visit our Shop. For more information on membership, go to our Membership page. This is your chance to make an impact. The potential of soccer in Buffalo is limitless, but it won’t come easy. Join us.